French central defender Abdou Diallo's transfer fee was not revealed but media estimated it at 28 million euros. 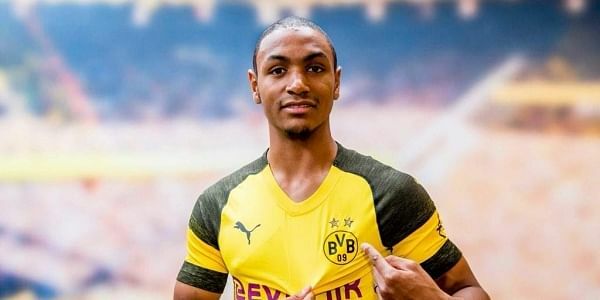 BERLIN: French central defender Abdou Diallo has quit Mainz 05 to join Borussia Dortmund on a five-year deal through to 2023, the Bundesliga clubs announced Tuesday. The 22-year-old has captained the France under-21 side, but is yet to be capped at full international level. The transfer fee was not revealed but media estimated it at 28 million euros ($32.6m). "Abdou Diallo has a lot of the qualities that we expect from a signing," said Dortmund's sporting director Michael Zorc. "He is a modern, strong central defender who is very intelligent. He can play a wider defensive role too or even be deployed in a defensive midfield role. The combination of his great potential and his versatility is what made Abdou such an interesting prospect for us." Dortmund will play in next season's Champions League after finishing fourth in the Bundesliga behind champions Bayern Munich, bitter Ruhr rivals Schalke 04 and Hoffenheim.